Figure 1. 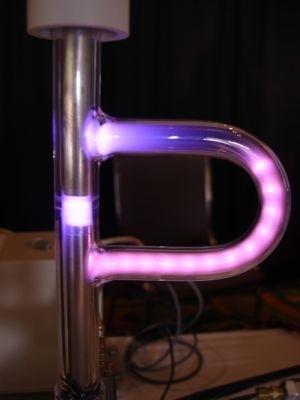 Plasma on the table. 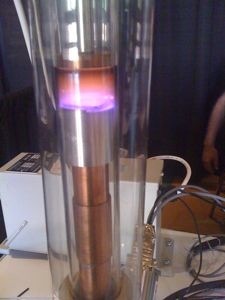 Here's some plasma getting pushed around a tube. Figure 2. Plasma getting pushed around. Wikipedia has a very nice article on plasma and plasma displays that occur in nature, such as St. Elmo's fire. I guess if you want hands-on practice with plasma physics, community colleges are da place to go.